Consistent innovation, coupled with an alert understanding of customer's needs & demands, makes us the most renowned manufacturer of Hardwood Box. The vast assortment of Woodpile Boxes brought forth by us come with a waterproof desiccants and VCI, which are ideal for the packaging applications. Besides, these are specifically designed to carry out multi handling & multi stacking, in an array of shapes, lengths, sizes and dimensions. In addition, clients can avail these in customized options as per their demands. wooden packing cases Hard Wood.Wooden Packing Cases Hard Wood. 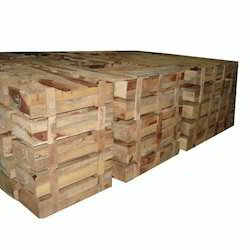 This Hardwood Box is extensively used by diverse industrial sectors due to its high reliability and sturdy construction. In product we have used the best material. These Hardwood Box are constructed in an excellent manner with desirable shape and size which makes it highly appreciable and admirable for numerous kinds. 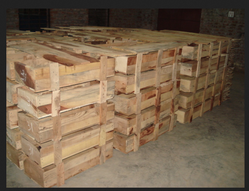 We are instrumental in providing a qualitative range of Hardwood Boxes. It is manufactured using superior quality rubber wood to assure durability and high load bearing capacity. Our range of Hard Wooden Boxes is in great demand amongst clients due to its termite resistance, safe storage and easy mobility attributes.